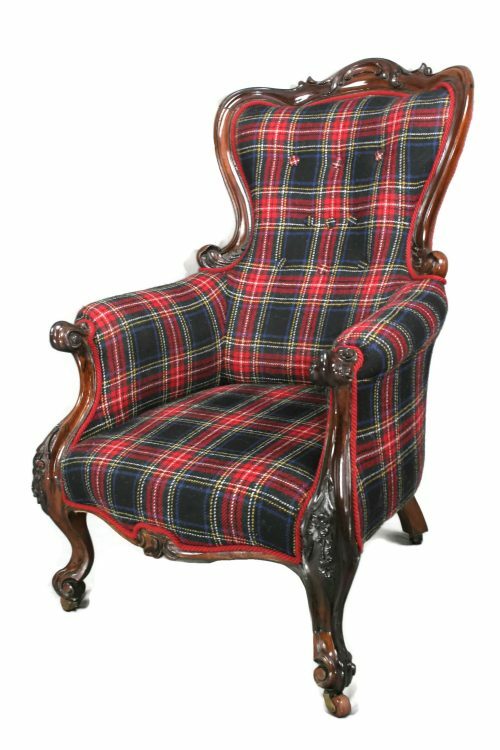 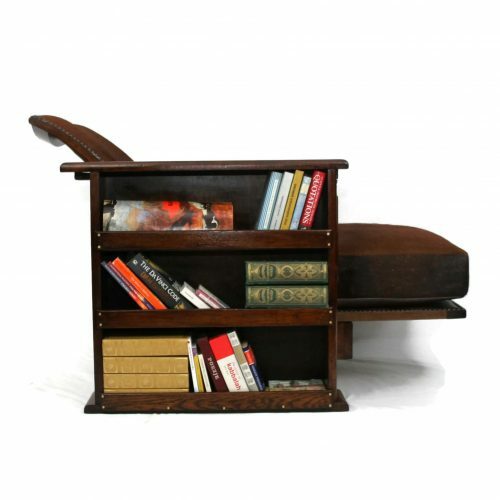 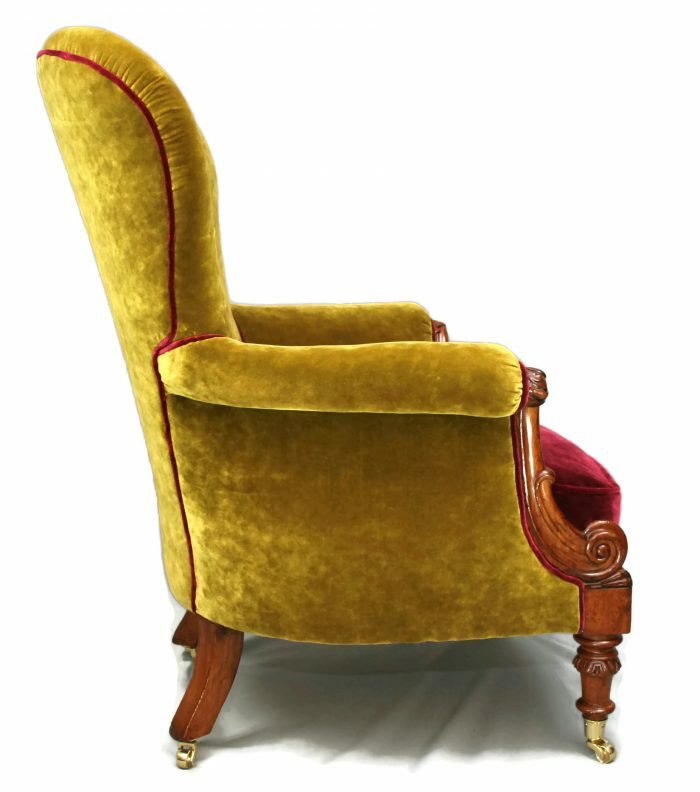 A 19th Century incredibly comfortable William IV armchair in walnut. 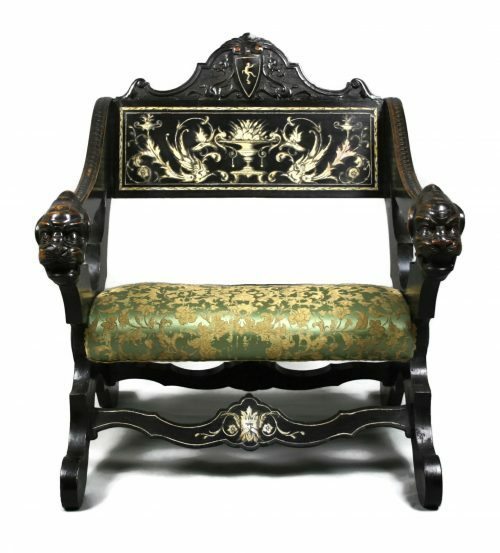 Elaborately carved with lotus leaves and scrolls on the legs, very slender arms but a much wider carved back makes a joy in which to recline, especially with the sumptuous feather filled cushion. 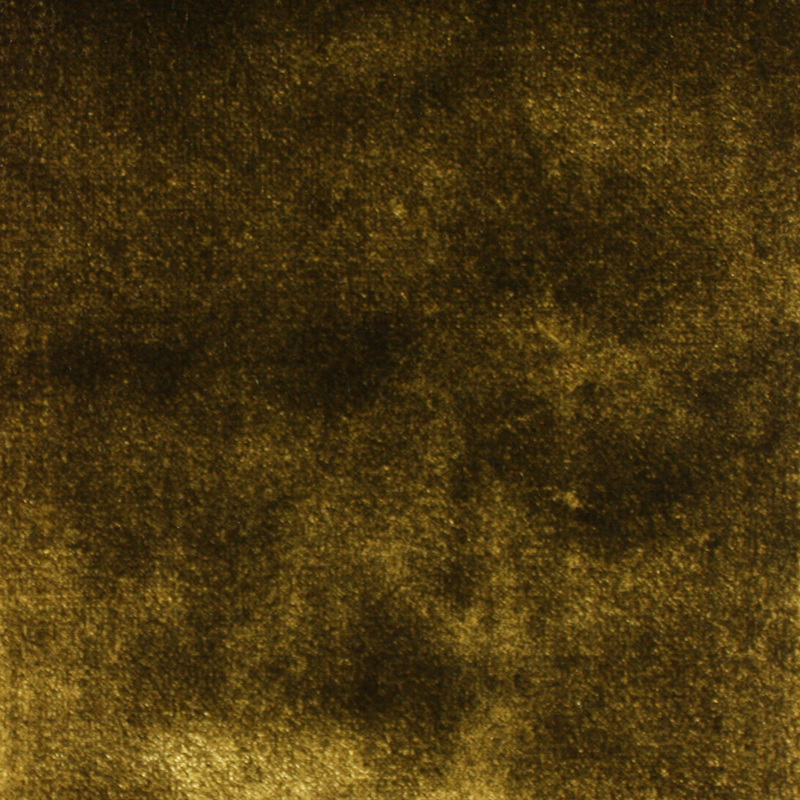 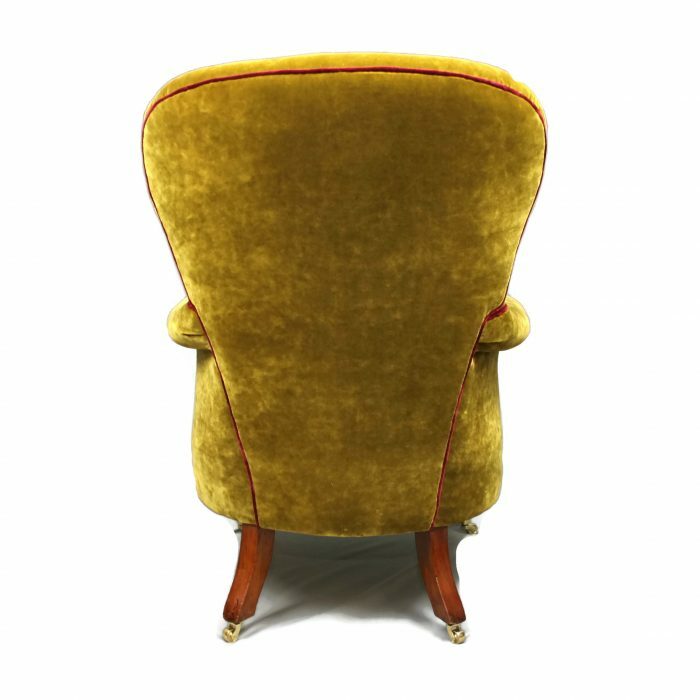 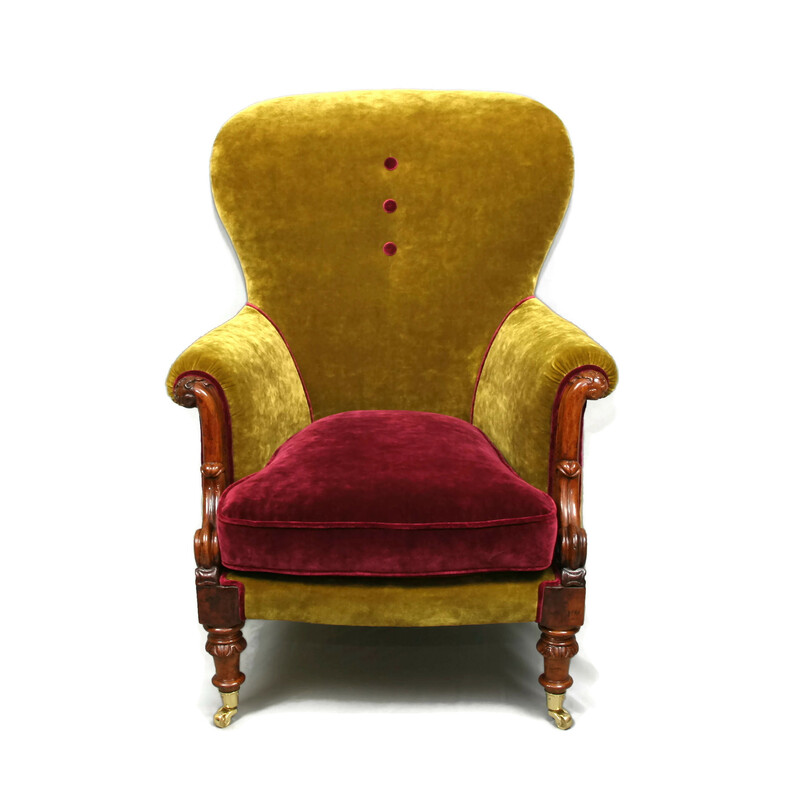 Upholstered in luxurious Italian-made velvet, combining rather striking tones of burgundy and golden green. 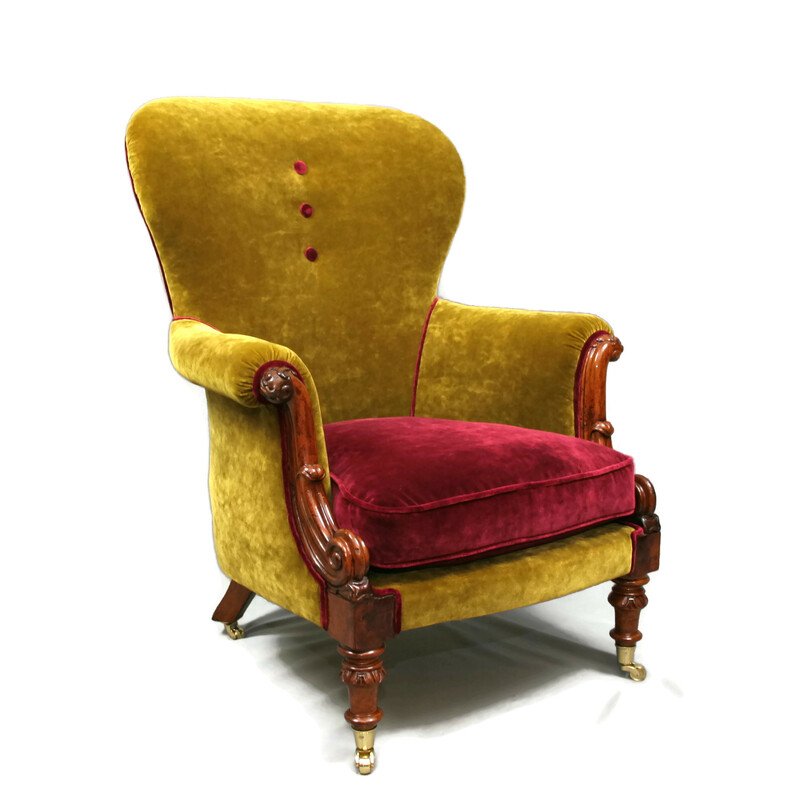 This fine piece stands on reeded baluster front legs and splayed rear legs with brass castors.